Taking a career break or extended trip can be an amazing experience. But as we all know, that experience can come at hefty price. While one of the most exciting aspects of a trip can be the planning phase, the amount of money required to partake in such an adventure can make us all think twice about each and every detail. Fear not, intrepid traveler! Many financially literate trailblazers have ventured ahead to scout the situation, providing the rest of us with some well tested budgeting advice. The following budgeting tips and techniques are crucial to planning a long term trip or career break. "A destination can determine your budget or perhaps your budget should determine your destination?" First and foremost, you need to know where you intend to visit. Where you travel to on your career break or gap year can determine your budget. On the contrary, perhaps your budget should determine your destination? Some regions of the world are much more expensive than others. Europe, the U.S. and Australia are obvious examples of more expensive destinations. Consider visiting a cheaper locale such as Latin America, southern or eastern Asia, or parts of Africa. The price difference can often be an order of magnitude apart, where one day in Europe could equate to ten days in Asia. Your travel style will also determine a major portion of your budget. Hostels are cheap, and thus very popular amongst thrifty travellers. Campgrounds are another option. If youre not willing to rough it then dont feel bad, many travellers want their own room with a private bathroom. Youll need to take this into account in your budget, though. In many countries, hotels offer individual rooms with shared bathrooms. This could be a reasonable compromise between your privacy and your wallet. Cheaper accommodations are not the only place to save some cash. Taking local or public transportation instead of privately hired vehicles is another way to reduce costs. Travel like the locals and youll get the best possible price. On the topic of transportation, your money will go further if you dont go further. That is, transportation is perhaps the largest portion of most travelers budgets. The best and most consistent travel advice from those who have saved money is this: travel slow. Get to know an area and its people, and stay for a while. If you hop from place to place every other day, all of your money will go into buses and trains, or worse, airfare. Travelling over land is much cheaper than by air, but not moving at all is even cheaper. Of course, you eventually have to leave to get to the next destination, but doing this less often will stretch your budget more than you can imagine. Once you get an idea of where you want to go, what your general travel style will be, and how frequently you will move around, then you can start to put together a budget. Estimating travel costs can be fairly easy if you know the general amount of money that you will be spending per day in each location (the daily total of a hotel, food, etc.). Budget Your Trip (www.budgetyourtrip.com) can help with this, as well as guide books and advice from other travellers. Once you know the typical daily costs for a destination, you can simply multiply that amount by the number of days you plan to spend in a location. Then add transportation costs, and the rest is just math. Adding extra money as a buffer is always a good idea in case you go over budget. If your total travel budget is more than you have, consider changing your travel style. Cheaper hotels and hostels are not as rough as you might imagine. After all, youll be spending most of your time away from your room, right? Once you spend some time on the road, you will probably realise that you dont need all of the modern comforts that youve become accustomed to. "Many travelers recommend giving up pretty much everything before you take a long trip." When leaving on an extended trip, the travel costs might not be the only expenses to drain your budget. You will need to carefully consider what you are leaving behind. If you are paying rent or other bills, those payments can add up over time, especially if you will be leaving your job. Many travelers recommend giving up pretty much everything before you take a long trip. Not paying for a home or other worldly items can take a huge burden off of your shoulders. Try to minimize every possible expense. Make a list of everything you pay for on a monthly basis, and then decide what can get the axe. So, you know your route, and youve planned your budget. But beware; expenses could sneak up on you. 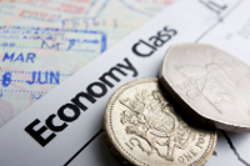 If youre travelling to a foreign country, currency exchange fees are the biggest surprise to most travellers. Your bank or credit card company will seize every opportunity to profit from your grand adventure. Before you leave, research your banks fees associated with currency exchanges and foreign purchases. If you buy something with your credit card, the exchange rates can be exorbitant. Pulling cash from an ATM is what most travellers recommend because it avoids many fees, but check with your bank before you leave to find out what the damage will be. 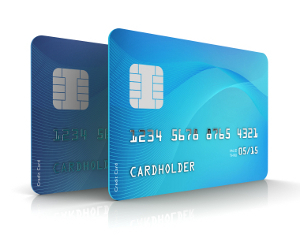 Occasionally credit cards can give a better rate than ATMs, but knowing ahead of time which of your cards is better will help out on the road. Another huge budget drain comes from airlines that charge passengers to switch the dates or locations of previously purchased flights. If you plan to purchase an around the world ticket, or even just one ticket, then try to be very sure of your plans when choosing the locations and dates. Many long term travelers will want to alter their route or schedule after several months of travel. Airlines can charge huge fees for these changes, sometimes as much as the original ticket price! "Have a reserve fund, just in case something bad happens or something special comes up." Once youre in an exotic land full of beautiful people and yummy food, all of your thoughts of the world you left behind will quickly vanish. Sometimes this is not such a good thing. Enjoy yourself, but dont go overboard. Remember the plan that you set for yourself. Keep track of your spending, and know how much money you have left. Have a reserve fund, just in case something bad happens or something special comes up. A career break is supposed to be fun, enjoyable, and life-changing. Try not to let finances ruin your mood, both before and during your trip. Sometimes people can get caught up with money to the point where it ruins the experience. Keep your ultimate goals and priorities in mind above all else, and your trip will be a success. Happy travels! Bryan Tighe is the co-founder of Budget Your Trip, a travel planning website that was born from a need to figure out how much the world costs. An avid photographer, he has traveled to over 50 countries with his wife, Laurie, on several extended career breaks. Contact Bryan on either Twitter @budgetyourtrip or Google+.